This Cuban recipe takes yucca from yummy veggie to extraordinary side dish. This garlic sauce makes it. The sweet garlic flavor complements the rich olive oil. The addition of the lime cuts through the sauce and helps balance it out. 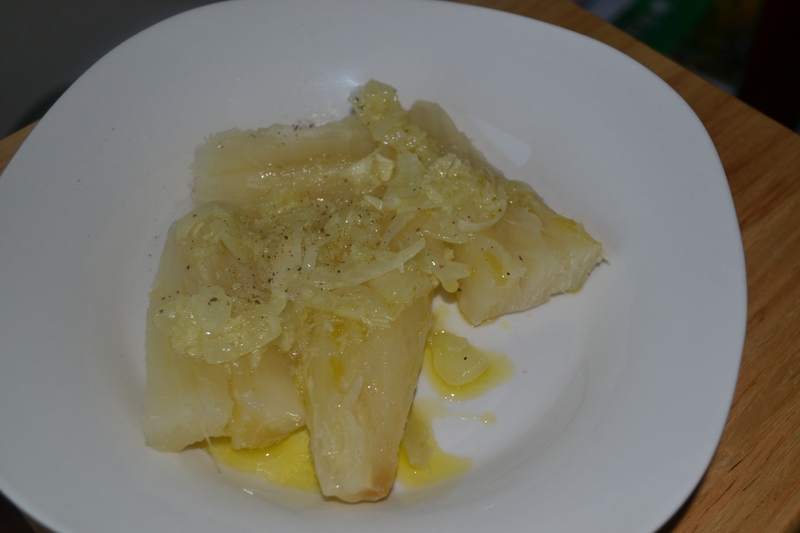 The end result: Creamy yucca and a sweet garlicky sauce with a hint of citrus. Yes, please. Slice yuccas lengthwise and cut into 3 or 4 pieces each. Place in a pot of water, making sure water covers the yucca by at least an inch. Add a generous pinch (or two) of salt. Bring to a boil, then turn down heat and cover. 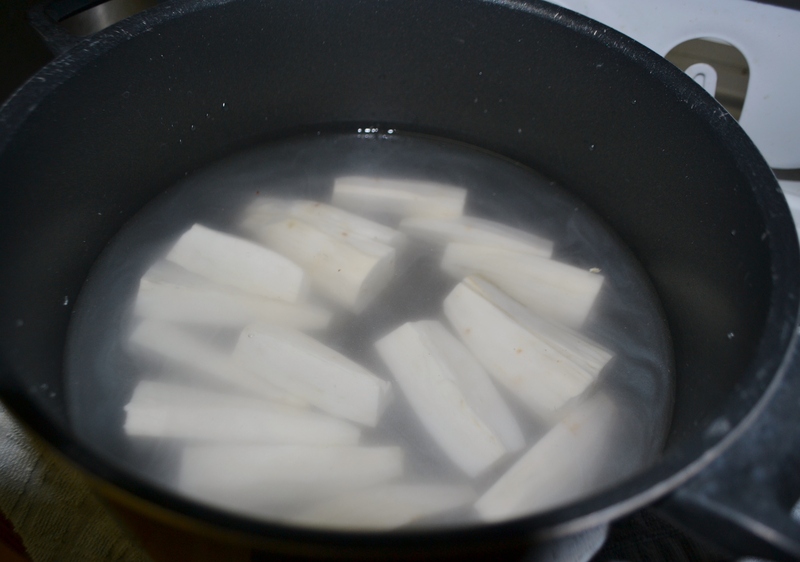 Continue cooking on medium or medium-low heat until yucca becomes tender. Remove from water. Place yucca on plate and let cool slightly before removing the woody internal portion. 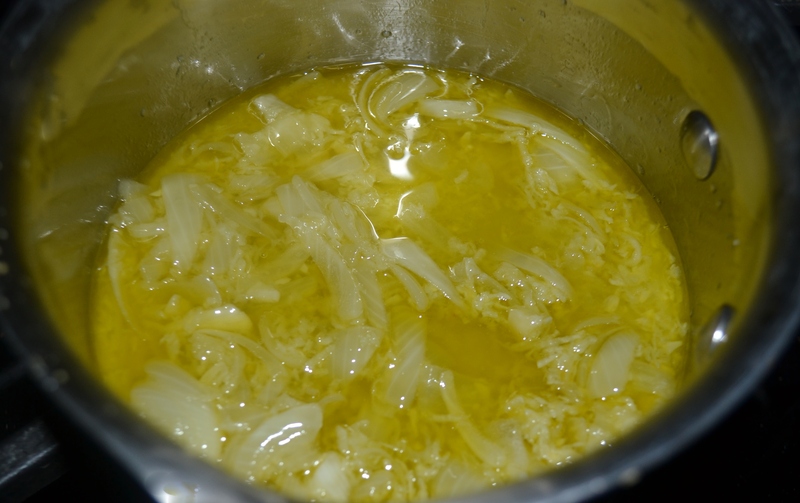 Meanwhile in a small saucepan, combine oil, onion and garlic. Keep on low heat to insure onions do not get any color. The goal is to get the onions and garlic tender. Continue cooking until onions and garlic are soft. Add lime juice and salt and remove from heat. To serve place yucca on a dish and ladle generously with the garlic sauce. Dust with pepper.